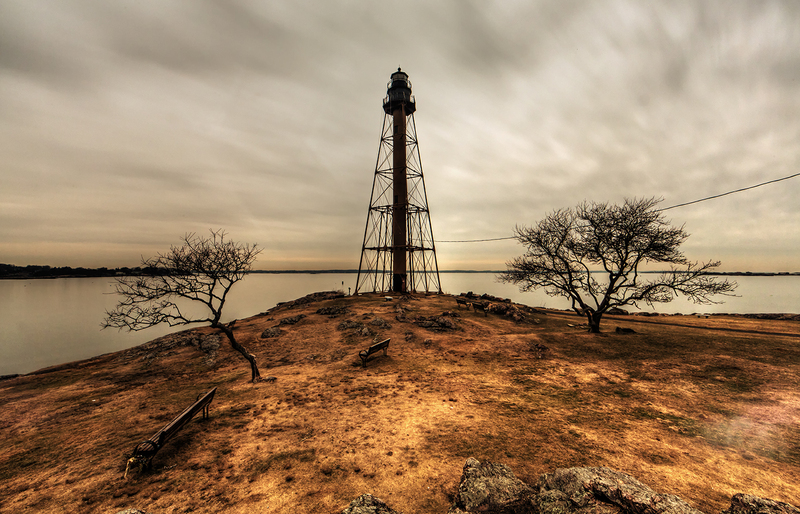 This is a long exposure image of Marblehead Lighthouse in Marblehead Neck, MA. 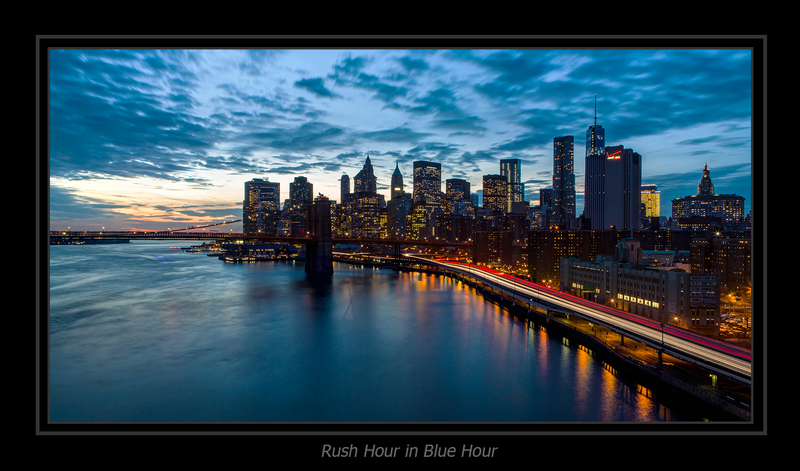 Used a 10-stop filter to try and get some smoothness in the sky and water. 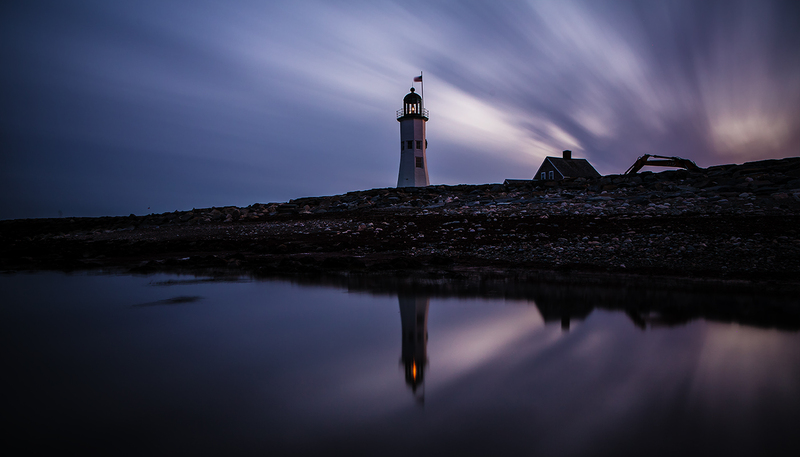 Sunset photo of the Old Scituate Lighthouse using a 10-stop filter to get the long exposure smoothness.